An imaging technician digitizes photos of Natick Army Research raincoats from 1971 for Boston Public Library archives. Photograph (possibly by David W. Butterfield) of Pearl Street, Boston, after the Great Fire of 1872, from the BPL archives. “The True Copie of the Court Booke of the Governor and Society of the Massachusetts Bay in New England” begins in London in 1628, as the founders of the Massachusetts Bay Colony prepare to set off for the New World. This delicate document, bound in calf hair, handwritten in iron gall ink, documents in real time the doings of the magistrate until 1645, from ship landings to the colony’s first laws. Until recently, this incredible book was just one of the Boston Public Library’s 23 million holdings, a book like other books, a workaday entry in a vast and varied catalog. But now, in a culmination of six years of planning, cataloguing, conservation, and fund-raising efforts, the library has given the “Court Booke” its due. Since 2008, under the leadership of library president Amy Ryan, the staff has endeavored to find the library’s most valuable and important materials in order to make them more visible to the general public. In June, the BPL debuted the “Court Booke” as one of the most startling items of its thousands of manuscripts, correspondence, documents, and printed records from the Colonial and Revolutionary War period. These became a Collection of Distinction, an honor recently bestowed upon the library’s most unique, rare, and intrinsically valuable materials, ones useful to both scholars and the public. In June, the BPL introduced the first 18 of these collections; this month it adds six more. Gorgeous, early Shakespearean folios, the records of the Sacco-Vanzetti Defense Committee, maps owned by Benjamin Franklin, and court transcripts from the Salem Witch Trials are just some of this astonishing assemblage, once the exclusive provenance of motivated scholars, now readily viewable by the general public. Luckily, she and her colleagues had only to choose which of these items’ collections should first be catalogued, digitized, and promoted. 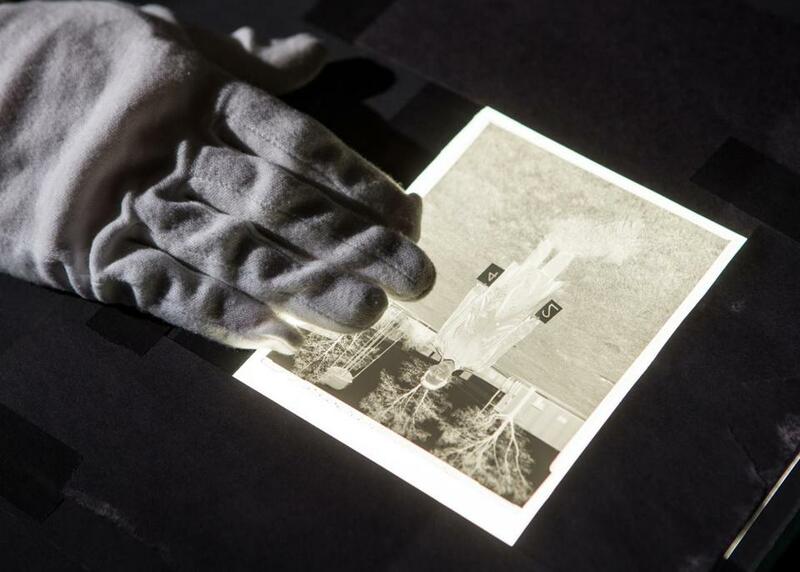 A cadre of experts at the library has been hard at work scanning, cataloguing, and uploading images of these precious holdings to the BPL’s Flickr page and the free, nonprofit digital library known as the Internet Archive. With state support, the library has created its own centralized database and hired people specifically to develop and maintain it; it will be unveiled soon. For now, the remote and the merely curious can peruse some of the full Boston Pictorial Archive on Flickr, much of the Shakespeare collection, and some volumes of the abolitionist newspaper The Liberator — once owned by editor William Lloyd Garrison — among other treasures. A visit to the McKim Building at the Central Library in Copley Square bears out just how extensive these materials are. To see them, go up to the third floor and sign in at the big oak desk surrounded by the glass-fronted display shelves holding John Adams’s personal library. Once inside, visitors can page any materials from the collections and peruse them at leisure. 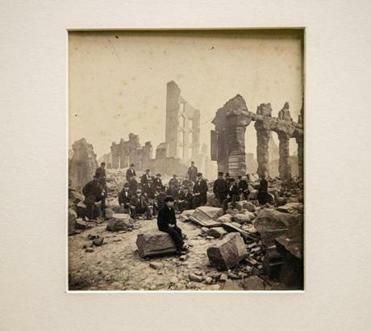 On a recent visit, in addition to a handwritten deposition of a Salem man who accused his neighbor of witchery, I saw a photo plucked from the Boston Pictorial Archive of devastated 19th-century merchants standing in front of the burned-out husks of their stores after a downtown fire and General George Washington’s orders for the defense of Boston. 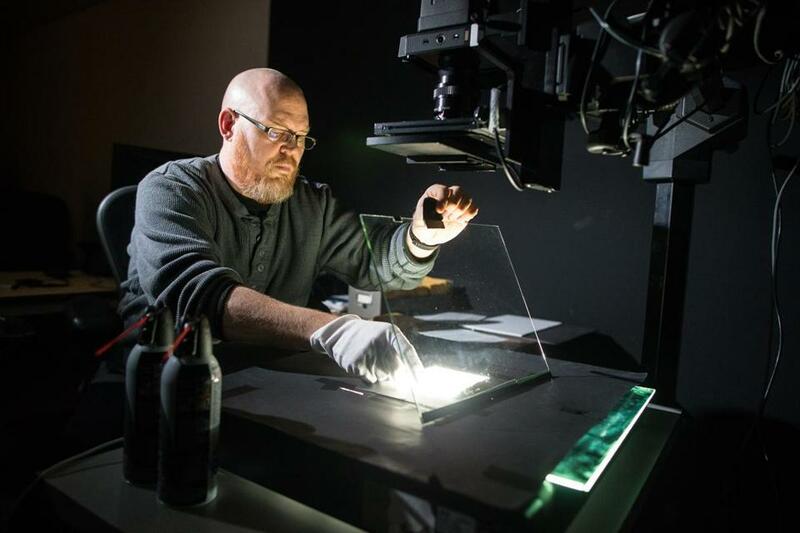 Imaging technician Bruce Myren works with a Sinar 54H to digitize photos for the BPL. Elsewhere in the building, the Digital Projects team prepares the collections for less immediate perusal. Special collections, says Tom Blake, manager of Digital Projects, “don’t tend to show up in our catalog in the same way that circulating collections do.” A 19th-century photograph or a hand-drawn Revolutionary War map can be harder to find than a book. To make images more accessible, the BPL has turned, temporarily, to photo-sharing website Flickr, which is linked from the catalog. The account, which presently contains around 95,000 images, costs the library $25 per year. 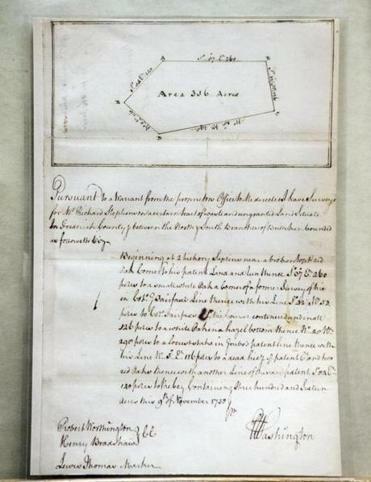 From the archives, a plot survey of Frederick County, Va., by George Washington. Other collections were far less simple. “You digitize a bound book way differently than you would a flat photograph or a large map,” Blake explains. A subject-oriented collection such as Irish history includes items in a number of different formats, each of which require extensive cataloguing and unique workflows. To digitize delicate books, the BPL turns to a newfangled machine known as a Scribe. State resources have enabled the library to purchase eight of them. “They’re V-shaped cradles, essentially,” Blake says, devices that minimize exposure to the countless ways humans have devised to ruin old books, like oily smudges and clumsy spine-cracking. 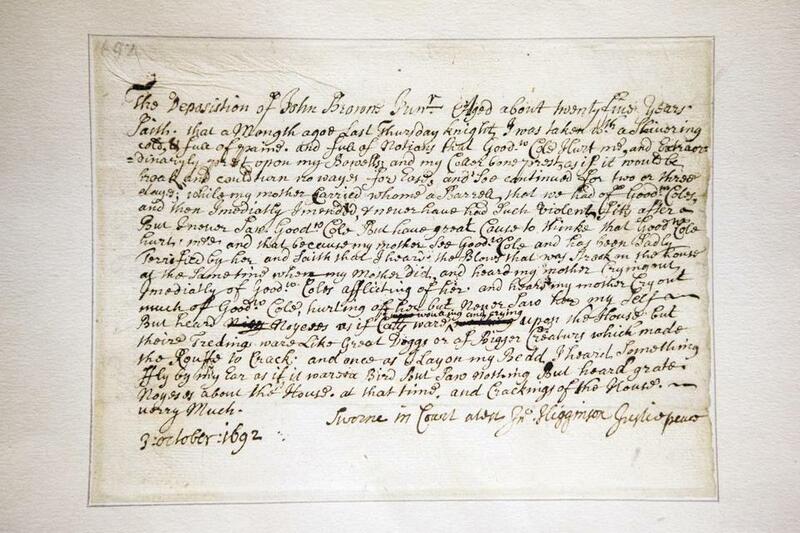 From the archives, a 1692 deposition describing a witchcraft attack. Eugenia Williamson, a writer and editor living in Somerville, can be reached at eugenia.williamson@ gmail.com.